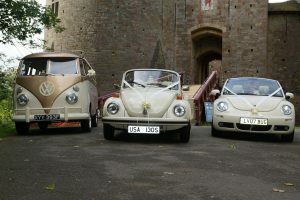 It’s never too early to catch a Love Bug! 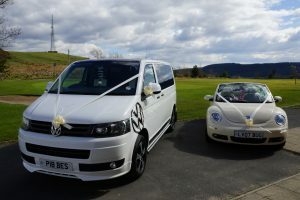 Our fleet of VW Wedding Cars are guaranteed to make your wedding day an unforgettable experience. 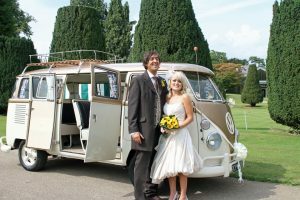 We offer models including beautiful 1960s classic VW Campervans to vintage and modern VW beetles to the very latest T5 people carriers. 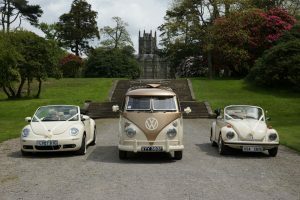 We are happy to accommodate all your wedding day transport requirements, be it one bridal car or all 5 of our VW’s. 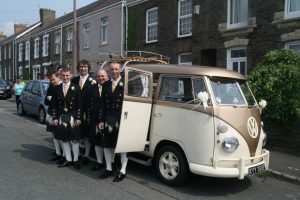 Whatever you need we pride ourselves on meeting any special requirements on the day. 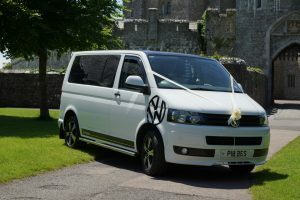 We also offer multiple pick ups for only a small additional charge. 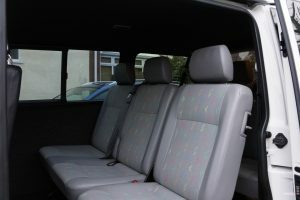 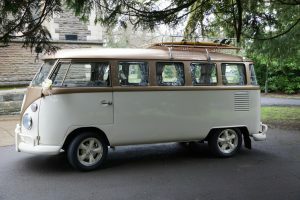 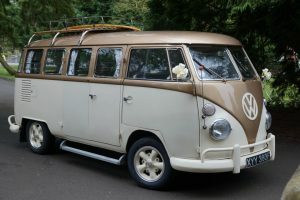 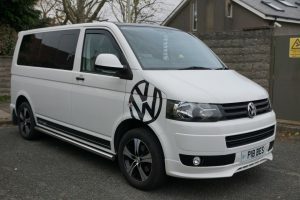 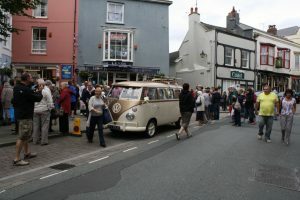 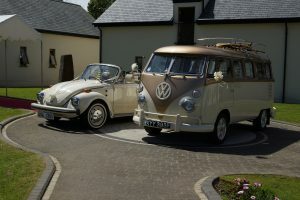 Let us know who and how many people you need transporting in true classic and modern VW style and we will do the rest. 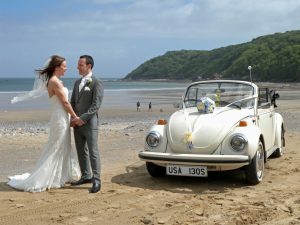 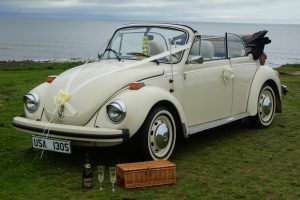 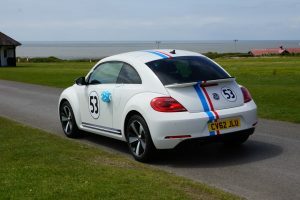 We own all our VW Wedding Cars and they can be seen at any time at our premises in Porthcawl. 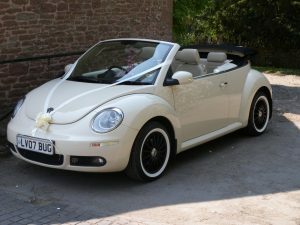 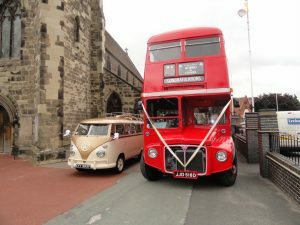 If you want to stop the traffic on your wedding day then jump aboard one of our LoveBugs! 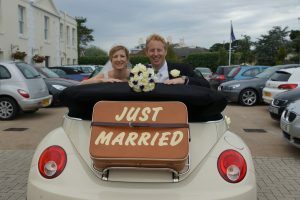 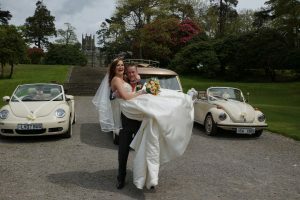 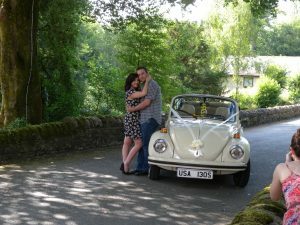 Want to book one of our VW Wedding Cars? 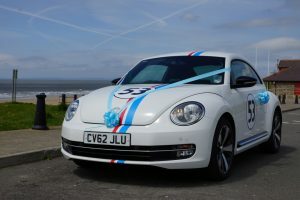 Contact Us or visit us on Facebook to find out more. 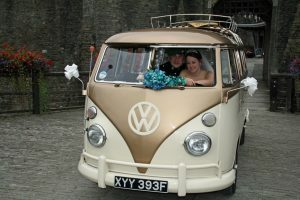 LoveBug Weddings based in Porthcawl, near Bridgend, South Wales are specialists in VW Campervan Wedding Car Hire throughout Wales and the UK. 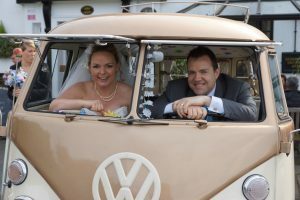 Just like you we love our vdubs and it shows in everything we do to make your wedding day “the best”. 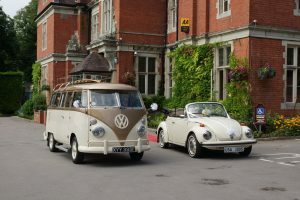 We are now taking bookings for 2018! 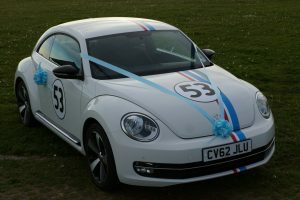 It’s never too early to catch a Love Bug!